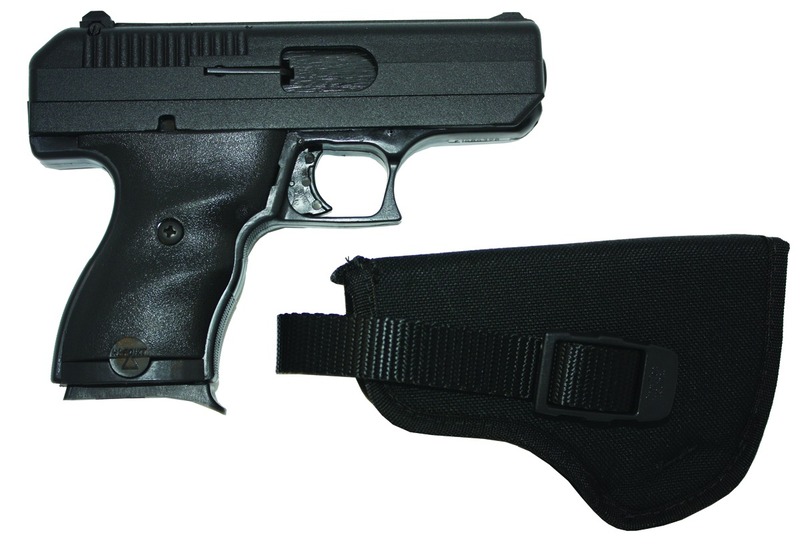 Hi Point® C-9 Semi-automatic 9mm Handgun with Nylon Holster. The best compact 9mm value on the planet, hands down. Nobody does value like Hi Point. Every Hi Point firearm is 100% American-made top to bottom, and test-fired for proper function. And, of course, they're all backed by the Hi Pointlifetime no-questions-asked warranty. If you're looking to get into shooting or try out a caliber, Hi Point is the inexpensive way to do it. What are you waiting for? Includes nylon holster.